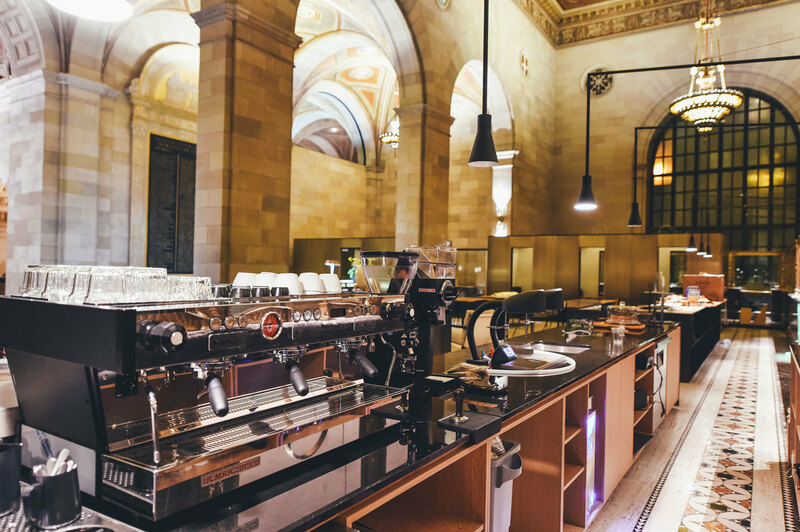 Montréal-based Crew (who are also behind Unsplash) set up their co-working space Crew Collective & Café to be what they describe as an ‘adult creative centre’ in one of the city’s grandest buildings. We speak to Crew's COO Stephanie Liverani. What’s the history of the building? 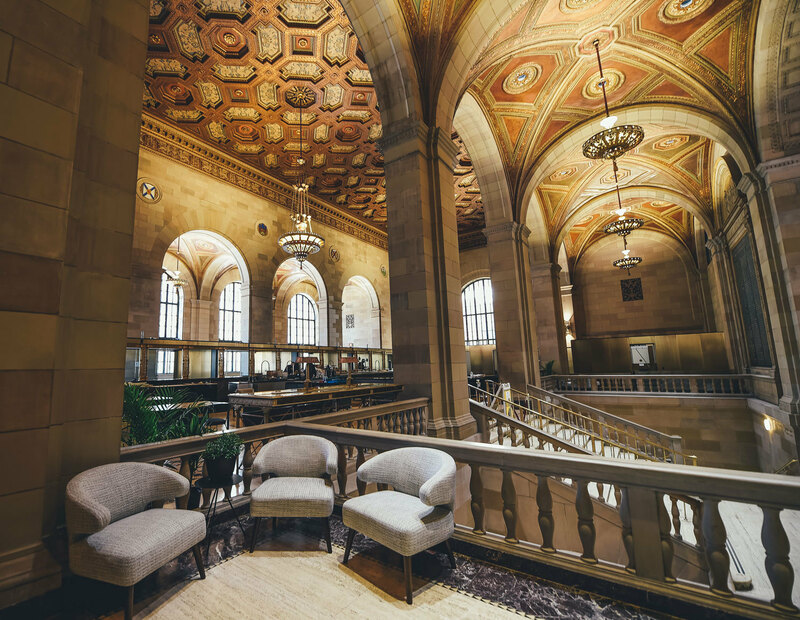 Our space is located on the main floor of a building that was built in 1928 as the headquarters for the largest bank in Canada, Royal Bank of Canada, located on Saint Jacques Street. Upon completion, with ceilings over 50-feet and at 12,000 sq. ft, it was the tallest building in the entire British Empire and the tallest structure in all of Canada. When we first walked into the space, it was so grand we didn’t even think it was possible to rent it. Did much work need doing to it before it opened its doors as a co-working space? There was quite a bit of work to be done. When the Royal Bank of Canada left in 2012, they left a lot of their equipment behind, and the feel of their design didn’t match our aesthetic. 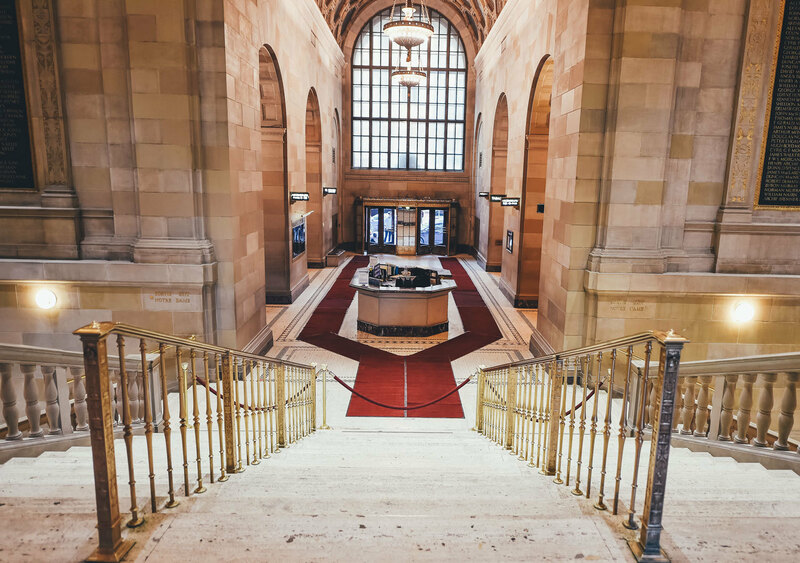 Seeing as the building is considered a historical one, there were quite a few construction restrictions, but thankfully we were still able to transform the space. There was quite a bit of engineering and mechanical work done in order to make the building more modern (for example drilling dozens of holes into the marble floor so we could install floor outlets and run electricity). We also redid the flooring by adding wood panelling, and transformed the space, using brass as the main material, to create meeting rooms and quiet bunks. Is there a typical kind of person who works there? 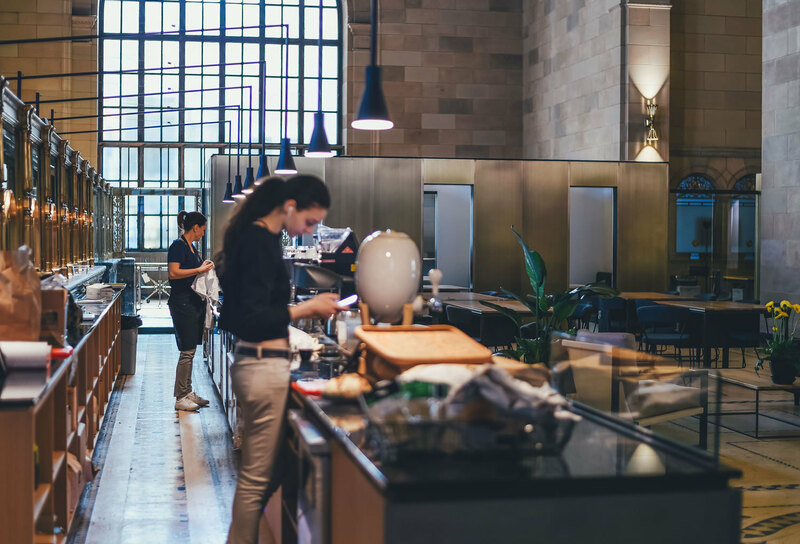 There’s a unique mix of people who work from the Crew Collective & Cafe. 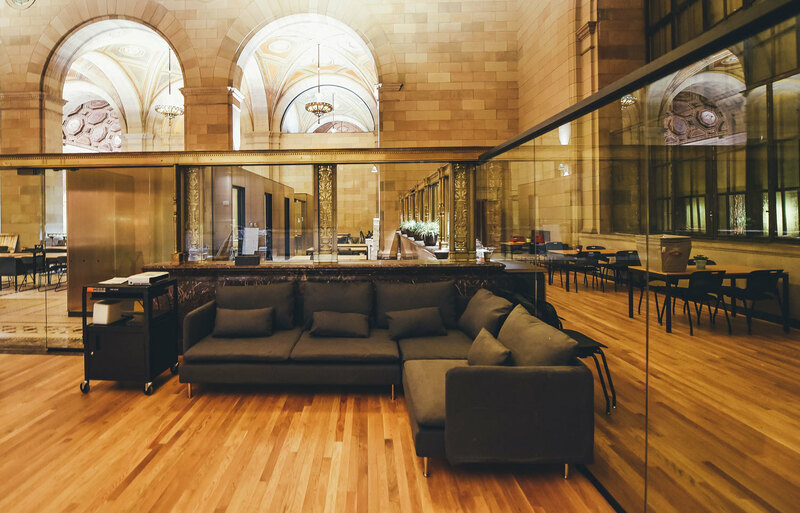 With high quality free Wi-Fi, private booths, and plugs at every table, many freelancers, traveling professionals, and young companies work here regularly; the most common fields being design, tech, architecture, finance and fashion. What’s the community spirit like at Crew Collective? When we first thought about opening this space to represent our online community, Crew, we thought: “What would Crew look like if it was a physical space?” We treat our community as if they’re part of our team, so we felt our office space should be the same: open to the community, just like our online site. Our aim was to create a space that was optimal for doing great work and fueling your creative energy. The spirit of the space definitely echoes this. Every time I walk in, I feel an energy that makes me want to create something great. We have Collective members working on so many amazing projects, from app makers to interior designers to artificial intelligence engineers. Being in the same physical space, you naturally bump into people and share stories in a way that supports each other. We host private events on topics like legal, raising investment, and product development, along with members-only private events like our game night. What we wanted to create was a place where anyone with a respect for creativity felt welcome and supported. That's the spirit we’ve aimed for. Meeting people in person is still the best way to create a stronger connection — the online world can only do so much. It’s different being at a good party and meeting people versus seeing that party streamed on Facebook. Is there a big creative community in Montréal? Yes. 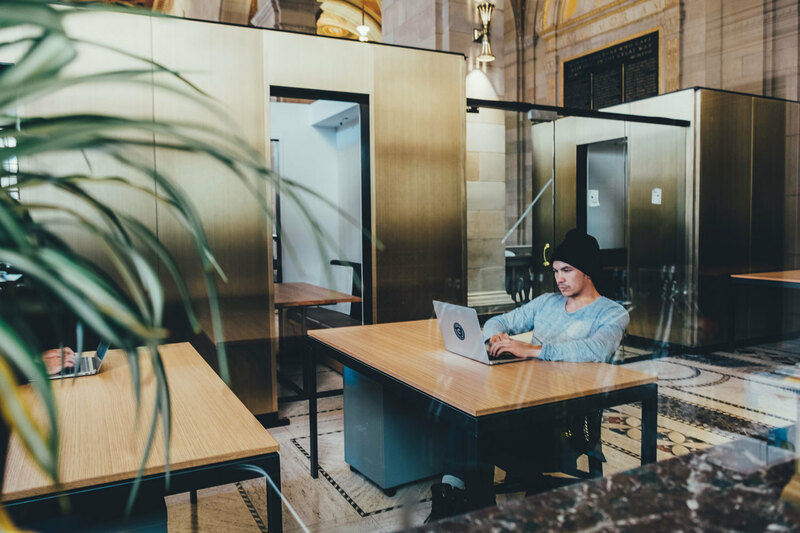 There was a recent study that rated Montréal as one of the top cities in the world for freelancers. 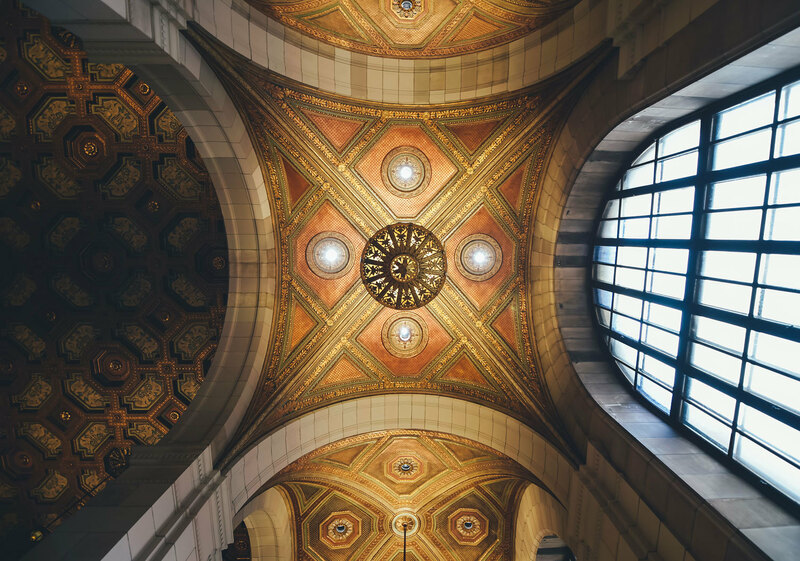 The creative community makes up 30% of the workforce in Canada, and Montreal has been referred to as Canada's Cultural Capital by Monocle Magazine. I've been to cities known for creativity — New York, San Francisco, London — but Montréal always impresses me with its creative spirit. It’s one the most creative cities I’ve ever been to with some of the most creative people. There’s a real respect for art in here, from the community to the government. 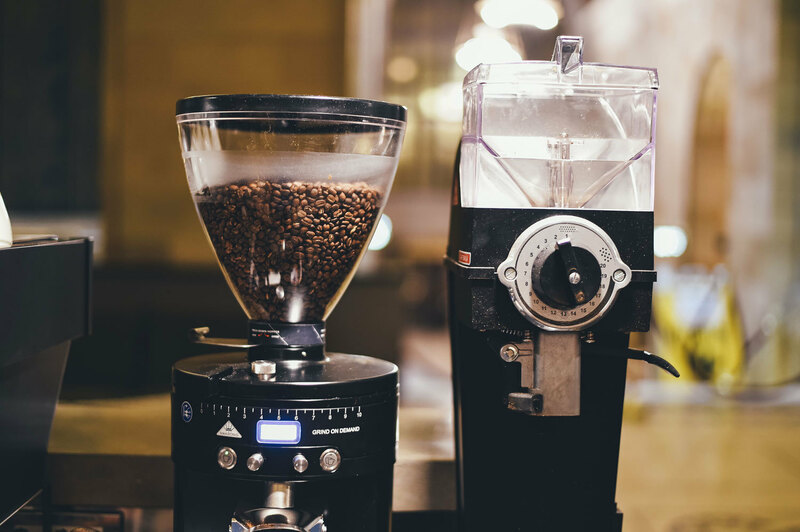 What upcoming events are you going to be hosting at Crew Collective & Cafe? One of the big focuses for us is kicking off events that should exist but don't. There are so many creative communities that need to be connected. For example, we have plans to begin leading a series of events to support photography, design, music, illustration, and writing. We’ll also be hosting intimate chats over coffee with top creators who happen to be in town. We see ourselves as sort of an adult creative centre. Kids have a lot of outlets to play, explore, and create, but for some reason those outlets disappear as we grow up. We want to bring that back and help rekindle the creative spirit we all have inside of us. 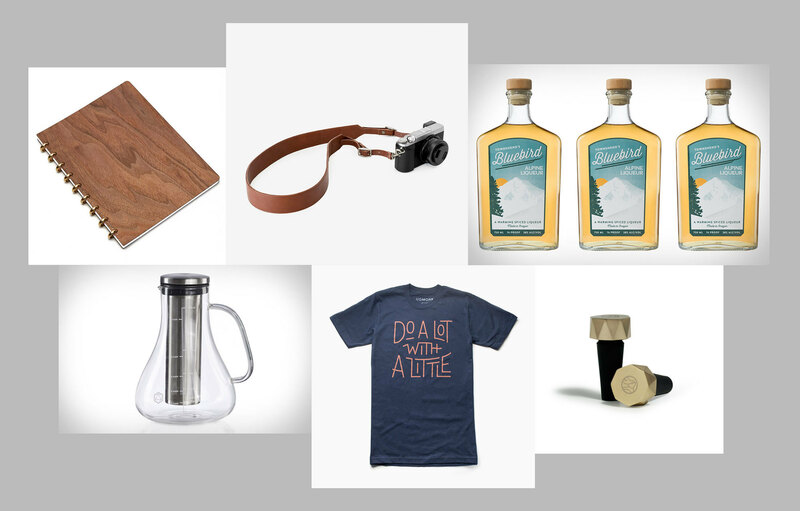 It's a new year, and we're happy to share with you our new product finds, which are in no short supply. 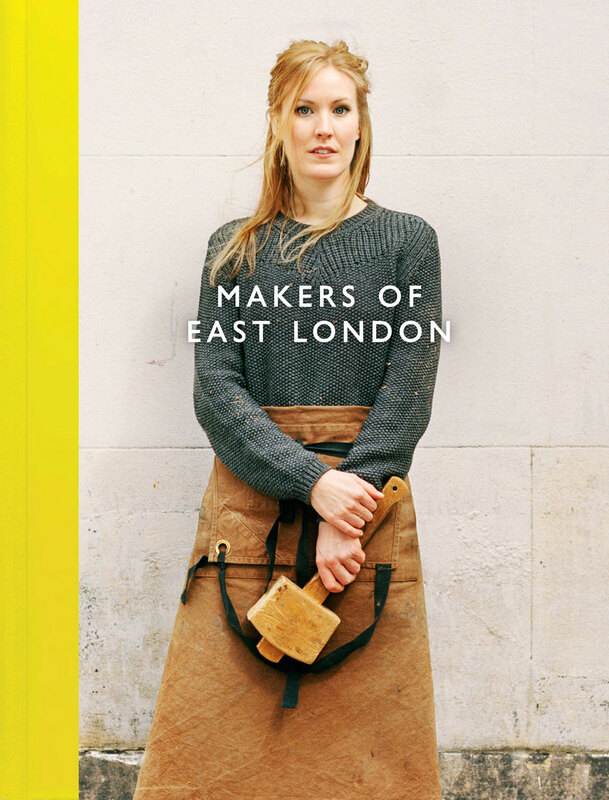 Makers of East London is a beautiful new book that explores the area’s rich creative heritage and celebrates the latest generation of makers and their work. 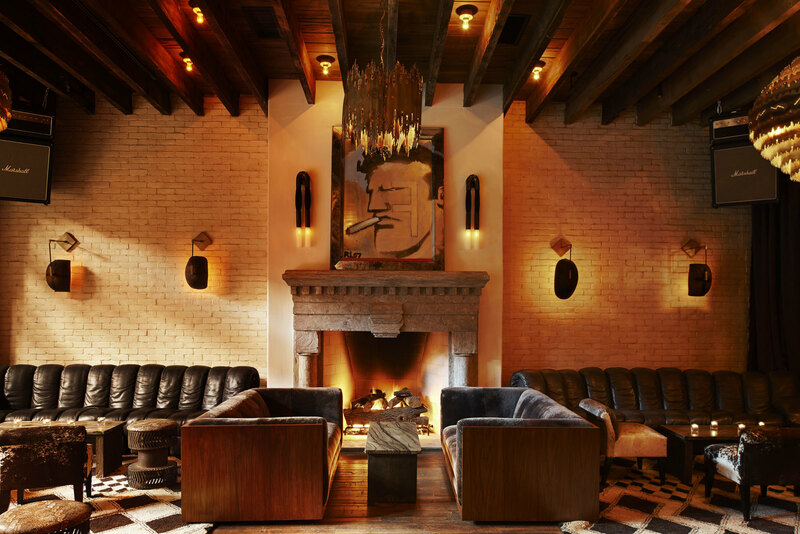 Step inside Manhattan's The Ludlow Hotel, where contemporary art meets vintage-inspired furniture.